For latest blog posts and more information, check out the “Bees in Mexico” section. I am a beekeeper and biologist living in Chiapas, Mexico. I’ll be here from August 2013 – July 2014 on a Fulbright grant, working with local beekeepers to document the organic beekeeping movement as it occurs. My background is in beekeeping- I spent two summers at the University of Minnesota Bee Lab, working with bees and assisting with research. 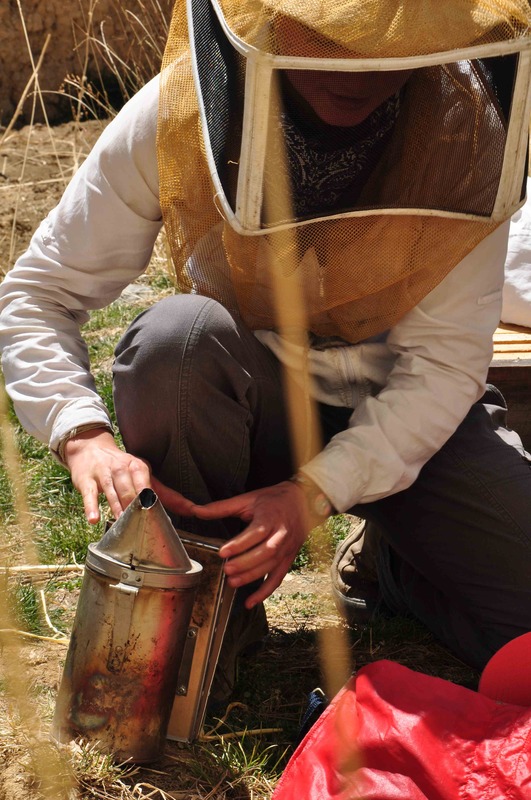 In the spring of 2012, I took a 6-month trip through Australia, New Zealand, China, and France, to study beekeeping in other parts of the world. I first created this blog to share my experience with family and friends. Now, it serves as a place to organize my stories and ideas, mostly about bees but sometimes about almond butter. Hi Mary-Ann!!! So good to hear from you. Hope all is well in NZ. Please say hello to Frank and the bees for me. Wishing you happy holidays, healthy bees, and tons of honey.